Make yourself noticed excactly where your customers are looking for you. Some may only rely on what they hold in their hands. For these customers we offer classical brochures as a high quality print. More and more people gather their information online. Here´s your chance to present yourself in style and atmosphere. Here we offer an online brochure which can be paged through pleasantly, be it for smartphone or tablet, PC or notebook. Your customers do not have to install any special software – and you do not need to repeat your diligently conducted layout and editing process to establish the online brochure. As a company you may have your own layout tools. If you are used to them – perfect ! Use them to create your brochure and import your result in form of a high resolution PDF to our Mag Glance platform. 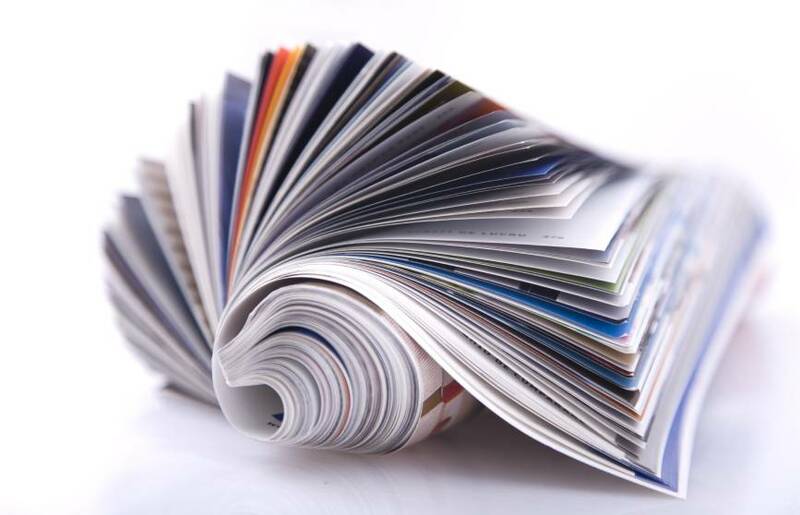 Our innovative process transforms your PDF brochure into the respective format: as an online brochure and/or as a preprint format for a high quality print edition. Alternatively you may choose our free of charge Layouter to create your brochure. Here you upload your pictures and graphics onto the Mag Glance platform. Afterwards you can position your images by drag & drop and you can add your text by keyboard or by copy & paste. Start by using our choice of typical brochure templates which you can customize – according to your individual style and needs. If you favor online publishing we will be happy to assist you: public presentation on our Mag Glance platform and/or embedding of links e.g. on your web page. If you prefer to distribute to a limited number of customers or employees just send a link provided by Mag Glance to the persons with access authorization. Optionally you can add an additional and specific password protection for such a document. Differing to the print version you can also publish a video with your online brochure – this instead of a picture or an illustration. You decide whether you want to publish your brochure as an online format. Brochures and documents you create or upload to our platform will remain your property and will remain under your control. Mag Glance is a German company and only German law applies which also implies the strong German Data Privacy Act (Datenschutzgesetz). Our platform servers are all located in Germany and will therefore be operated solely according to German law. We can deliver your brochures in a professional print quality – at short notice. You will receive discounts on our already favorable prices – applicable for orders of five or more copies. We consider the demands of small and medium-sized companies – however we are prepared for orders beyond 100’000 copies. Just take a look at our price calculator. Click here to create your own online brochure - for free!